Another brave and intelligent dog has emerged a hero after she determinedly broke out of her home on a rescue mission. 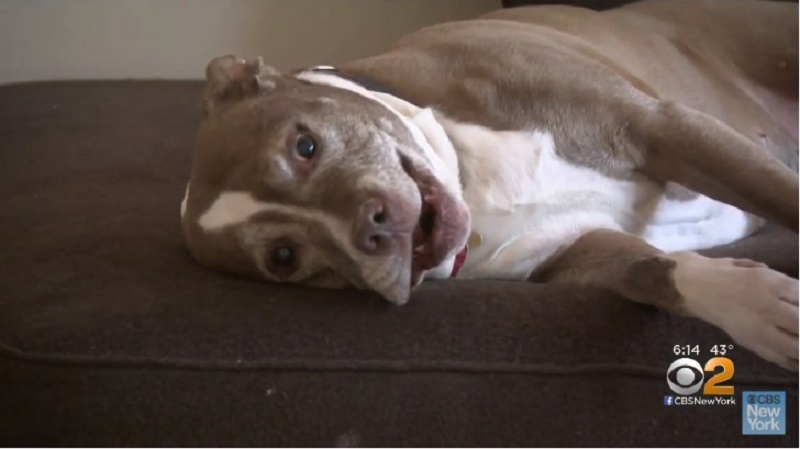 One day, Sadie the pit bull clawed and scratched her way out of her house to get some help. She was found wandering the streets, barking desperately. 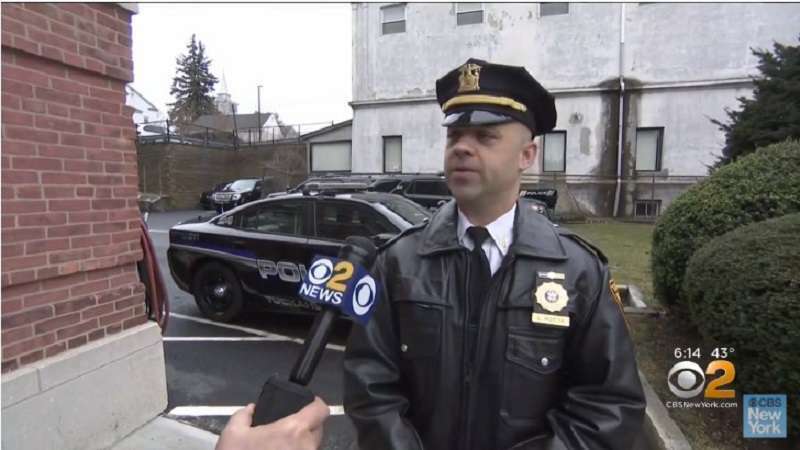 Lawrence Rotta, of the Tuckahoe Police Department, said they received a call about a "loose pit bull" and rushed to the scene to see what was going on. As the cops got to where Sadie was, they tried to catch her, thinking she was a stray, only for the dog to immediately start racing back home. The police were in pursuit and followed the dog all the way home. When they arrived, they noticed that the back sliding door was open. Upon further investigation, the cops also noticed the smell of gas in the residence. Rotter told CBS2 that there was a gas leak. The police believed that not only did Sadie break out of the house to escape the leak, but she also wanted to get the attention of authorities that could come and help. Serena Costello, Sadie's owner, also agreed that the smart dog suspected the leak would pose a risk and wanted to help any way she could. Serena was not at home at the time, but she does consider her dog to be a hero. She said that if it was not for Sadie, something really bad, like an explosion, could have happened. Sadie's owner believes that the dog must have smelled the gas, scratched frantically until she was able to open the sliding door, and then ran out to get people's attention. Dogs have a way of showing us unconditional love and loyalty, but we believe that Sadie has taken things a whole new level by showing more than just an instinct to saving her home. Well done, Sadie! Serena sure is lucky to have you looking out for her.